In 1974, lawmakers in New York passed the state’s first no-fault law for automobile accidents. The aim of the legislators was to make sure that insurance companies pay for accident-related medical bills and lost income without regard to fault in an accident. The intent behind the law was to expedite compensation to injury victims without disputes over fault, lengthy courtroom trials, and questionable, frivolous injury claims. It hasn’t quite worked out as well as lawmakers intended. A no-fault claim is not a bodily injury claim, although many are confused on this point. 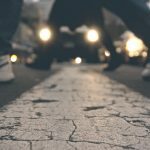 If a pedestrian, a bicyclist, a passenger, or a driver is injured in a New York traffic collision, he or she may have the right to sue by filing a bodily injury (or “personal injury”) claim. The insurance company that pays the no-fault claim will also be defending and potentially paying the bodily injury claim, even though the two claims are entirely distinct. New York’s no-fault system is supposed to guarantee that an insurance company will pay injured drivers, cyclists, pedestrians, and passengers up to $50,000 for demonstrable economic losses including all medical bills and related expenses. It also reimburses injury victims for days lost from work, but it includes no reimbursement whatsoever for pain and suffering. Pain and suffering claims and other claims require a victim to file a separate personal injury lawsuit against the at-fault driver or any other party liable for causing the accident and injury. The vehicle must be insured by a policy sold in New York or issued by a company licensed to do business in New York. The vehicle must be a car, bus, truck, taxi, or another vehicle registered in New York and covered by New York’s no-fault law. Motorcycles are not covered. The injured person must have been a driver or passenger in the insured vehicle or a cyclist or pedestrian struck by the vehicle. HOW DO YOU FILE FOR NO-FAULT BENEFITS? Complete the no-fault application (Form NF-2): The insurance company will provide this form if you were driving. Injured bicyclists and pedestrians who own an insured vehicle must request a Form NF-2 from their own insurance company. Request the form by mail with certified return receipt requested. File the no-fault application within thirty days from the date of the crash: Do not procrastinate, and do not just assume that your injuries will heal on their own or that your health insurance will cover your injuries. If that happens, filing the application does not compel you to pursue a claim. Filing Form NF-2 merely protects your rights if you end up needing to pursue a claim. Submit the form to the right insurance company: The no-fault application gets sent to the insurance carrier for the car that you were struck by, the car you were a passenger in, or the car you were driving. If another driver is uncooperative and will not provide you with insurance information after an accident, make sure the police are on the scene, and ask them to help you. Injury victims may claim lost earnings and related out-of-pocket expenses under New York’s no-fault system. Your employer will have to verify your lost wages by completing and filing a form the insurance companies provide called a No-Fault Wage Verification Report. 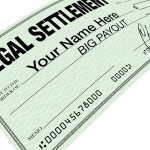 You may receive 80 percent of your accident-related lost income up to $2000 a month. You will also need a note from your doctor that specifies the duration of your disability and verifies that it is a result of the collision. Also, save your receipts for transportation, prescriptions, and related expenditures. You may be reimbursed up to $25 a day for related incidentals for up to a year after the accident. After filing, you are given a no-fault claim number. Give this number, the name of the insurance company and the adjuster, and their contact information to your doctor and other health care providers for all accident-related treatment until you have completely healed. You may receive a bill for the ambulance or for various tests and treatments – the same information should be provided. That fulfills your obligation to those service providers, who must then submit the claims to the insurance company. Obviously, insurance companies do not like paying no-fault benefits, so they are allowed to send you to their own doctor to determine if benefits should be terminated. If you do not appear for an exam scheduled by the insurance company, they will probably stop paying benefits. You may also have to appear at an examination under oath or EUO. This is a meeting with an insurance company attorney who will ask you about the accident and injury under oath. Again, if you fail to appear, the insurance company will almost certainly terminate benefits. When a no-fault claim is rejected by an auto insurer, those with private health insurance may submit the bills to their private carrier and have healthcare providers bill them as well. Most insurance companies will demand proof that you have been rejected for no-fault before they will pay the bills. No-Fault rules change frequently. A Bronx personal injury attorney handling a personal injury claim on your behalf can also handle the no-fault aspect of the case. Additionally, a good Bronx personal injury attorney will know how to respond to insurance company efforts to deny no-fault benefits.